Storytelling + Research = LoiS: The Coming Week! O.k. that's one thing with the coming week of final rehearsals earning it the name of "Hell Week" among theatre friends. Although one cast member, who also is a fine director -- had her a few years back in Aye Do! -- directs many youth theatre productions calling it "Heck Week"!!! WHATEVER! Monday February 12 is Lincoln's Birthday, celebrated as a holiday in some states, while the whole U.S. tends to lump it together on this coming February 19 as Presidents Day to give an annual three day holiday on the third Monday in February to include our first president, Washington, born February 22, and Lincoln, and beyond. I'll celebrate the twelfth doing one of my current six school residencies, but then on to rehearsal that night for He** Week. Wednesday is both Valentines Day, which I've covered before in talking about Queen Victoria, and Ash Wednesday. 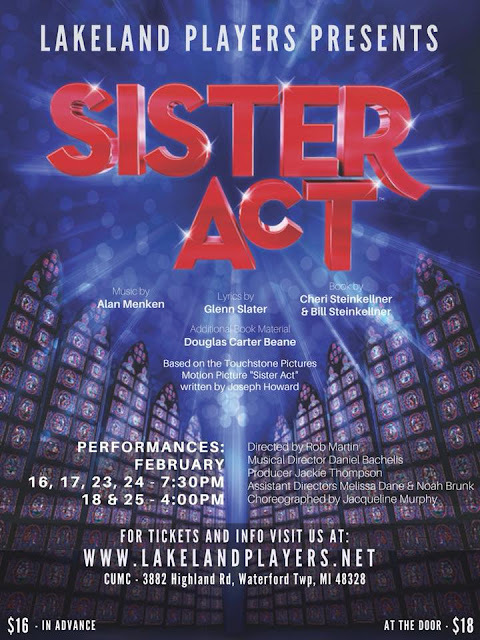 While the religious aspect is certainly appropriate for me in Sister Act, I don't know if I'll be able to make it before any rehearsal since we must be at Central United Methodist Church -- that's the CUMC on the show flier -- by 5:30! According to Wikipedia "Ash Wednesday is observed by many Western Christians, including Anglicans, Lutherans, Methodists, Presbyterians, Roman Catholics,[note 1] and some Baptists." Maybe they should have a service for our cast? As for my own Valentine of a husband, I guess we'll take a day all our own. 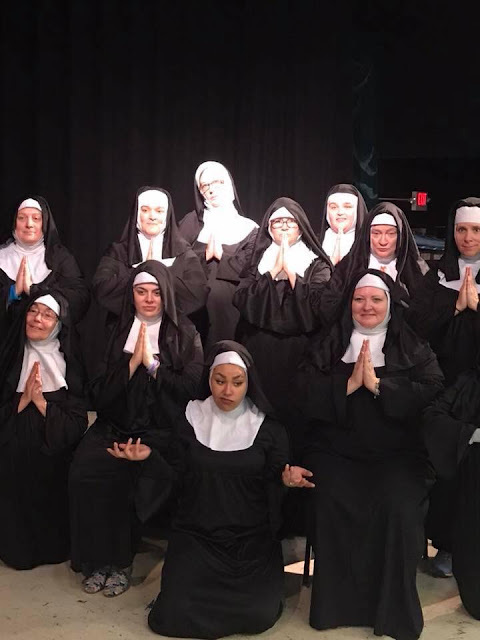 I'm looking angelic in the front row, not counting our Deloris wondering what has she gotten into! Most people associate red envelopes and dragons with Chinese New Year. The adults give their blessings to the children in the family in the form of a red envelope filled with money. You’re not traditionally considered “an adult” until you got married. I got red envelopes during Chinese New Year until I was 30. In my childhood, a home isn’t ready for the holiday unless it’s filled with tangerines and small chocolate gold ingots. And not just any old tangerines, they must always have the stems attached to represent good fortune and abundance. And after praying to the ancestors, my parents would stick a diamond shape red paper on the rice tub (the paper from last year would be discarded the night before). The tub holds 50 pounds of rice, so you can guess how big that red paper is. They would also stick diamond shape red paper on all the doors, and above every entryway, so we cannot walk through the house without our ancestor’s blessings. And last, the children get to play with firecrackers in the front yard to chase away all the bad luck from the previous year. 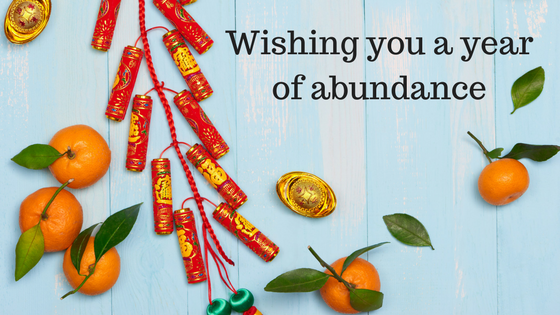 As I write this, I realized the only tradition my husband and I kept was the red envelopes. This is pretty sad…okay, I’m off to Amazon to see if I can get red paper and firecrackers delivered in the next day or two. It's worth seeing. We've all been there, with or without HE** Week. Next week I'll post a story as I presume I'll survive after I sub at White Lake Library on Saturday. What a week!